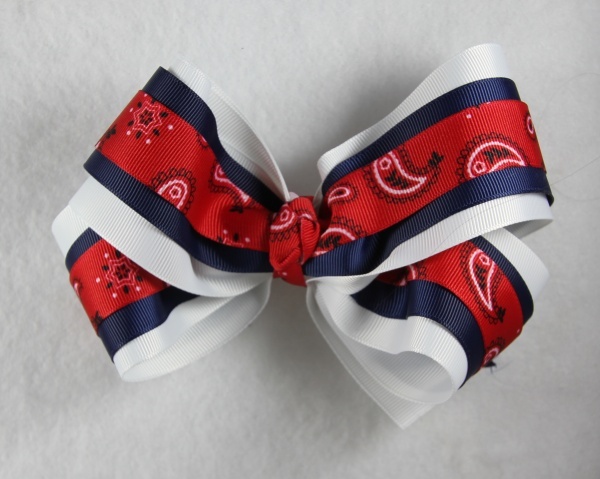 Triple layers of Patriotism show in this bow. The bottom layer is a white 2.25" grosgrain ribbon, with a 1.5" navy blue ribbon, and then a 7/8" red paisley ribbon on top. 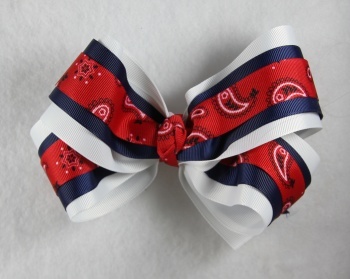 All layers are wrapped together into a French knot with the red paisley ribbon with white, red, and navy blue colors. All three layers are grosgrain ribbon.